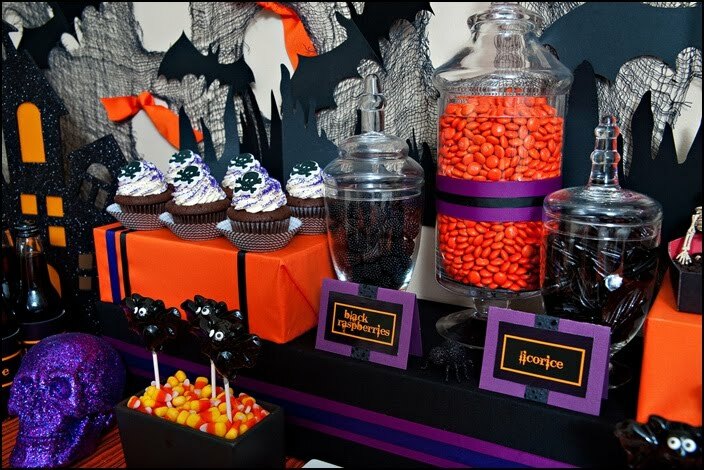 I've got another fabulous Halloween party table today from Sandra Downie Event Designs . 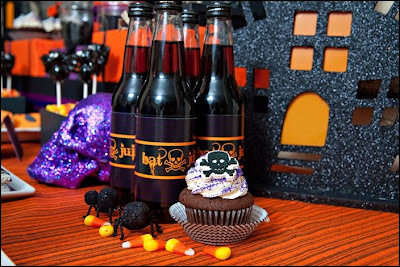 I think I've even seen this at the Dollar Tree this year --- fantastic! sparkly haunted houses all add to the festive ambiance of this fun party table. 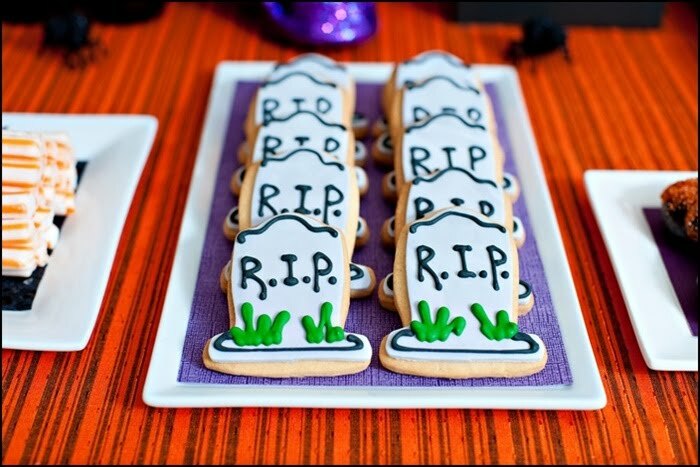 a fun way to "spook" up your Halloween bash. Mixing paper wrapped boxes in different heights for food displays with lots of Halloween colored candy in jars is a great way to add interest to your table. from The Flour Pot in NYC. 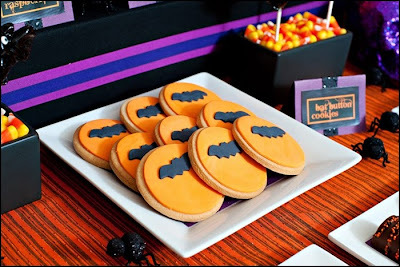 The Flour Pot also made the fondant bat sugar cookies - love these! 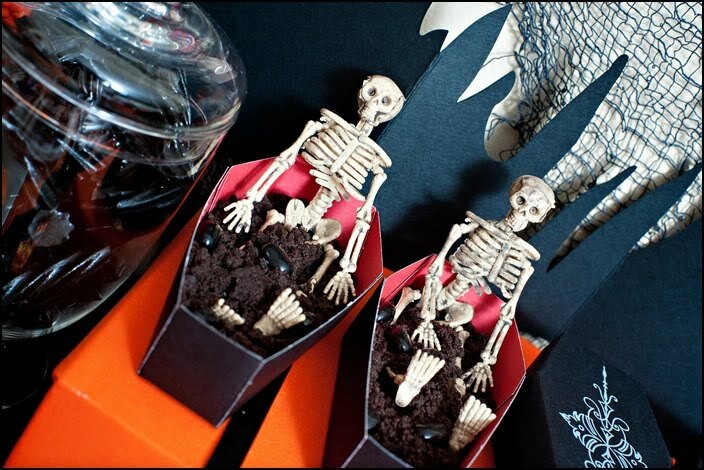 added a crushed up store-bought chocolate cookie pie crust and added a few skeletons for effect. 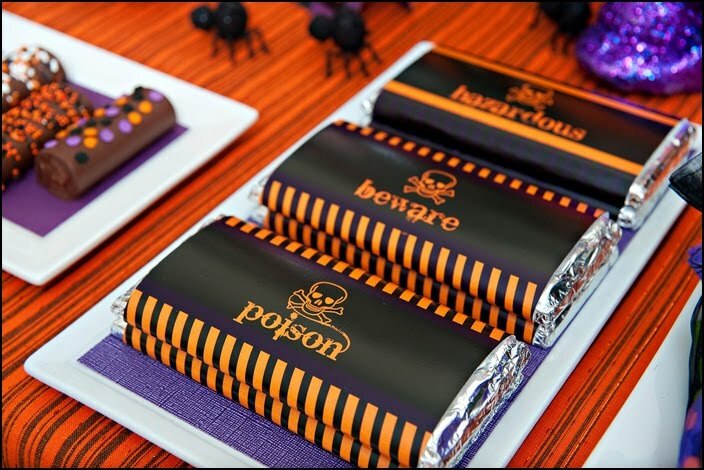 Poisonous Candy Bars..... you can't fool me! "Poisonous" or not, there's chocolate in there -- I'm in! Such cute ideas! 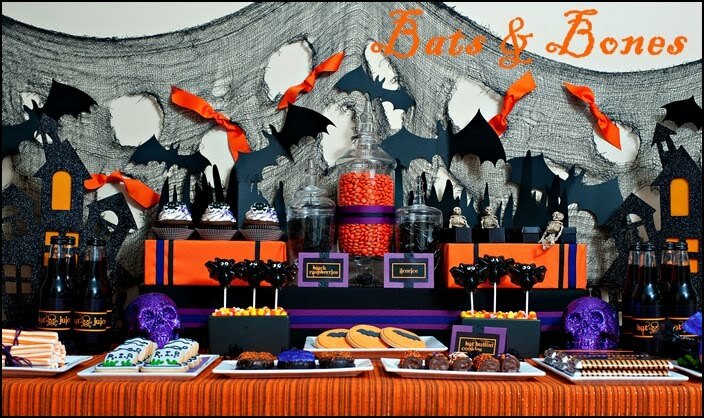 Sandra did an amazing job with her party table. Be sure to check out her other parties on her blog. There are many Lucky Patcher APK on the internet however, our lucky patcher is tested and official version so you don’t have to worry about it.